300dpi saved as JPG files. Includes a printsheet PDF file for each size. These alpha sett will help you keep the joy alive in your pages and in your heart this Easter season! Buttermilk Hill Basics is a digital scrapbook elment pack filled with beautiful colors and versatile stapls. The elements are perfect for just about any project with its fun colors and embellishments. This element pack coordinates perfectly with the Buttermilk Hill collection and the April 2019 BYOC collection. 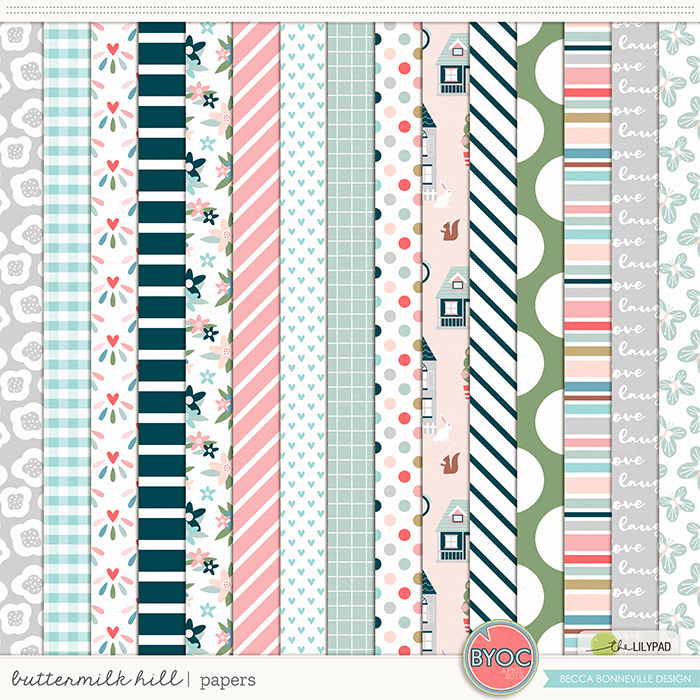 Buttermilk Hill Papers is a digital scrapbook paper pack filled with beautiful colors and fun illustrations. The papers are perfect for just about any project with its versatile colors and patterns. This paper pack coordinates perfectly with the Buttermilk Hill collection and the April 2019 BYOC collection. 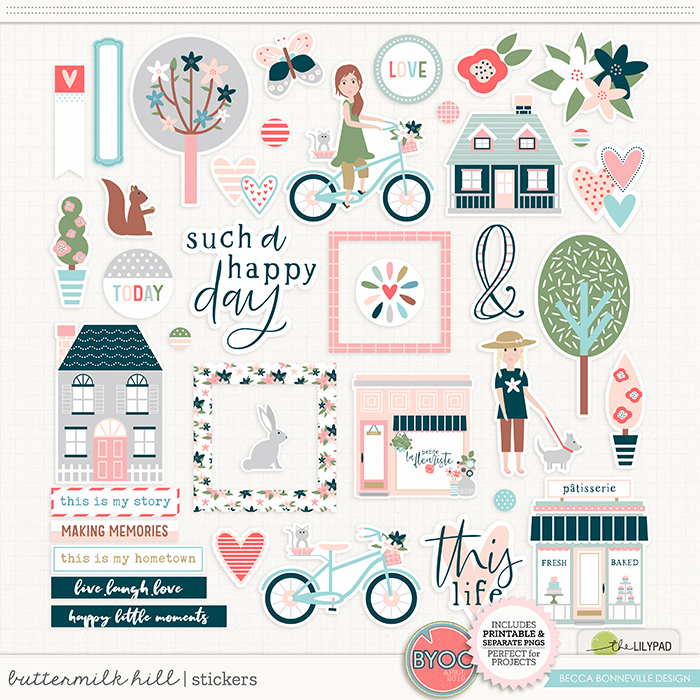 Buttermilk Hill Stickers is a digital scrapbook sticker pack filled with beautiful colors and fun illustrations. The stickers are perfect for just about any project with its versatile colors and patterns. This sticker pack coordinates perfectly with the Buttermilk Hill collection and the April 2019 BYOC collection. But our soul within feels. 6 x Versions of Willowby, 20 x Patterned Tops, 26 x Patterned Jumpers, 18 x Underskirts, 13 x Cotton Pants, 6 x Bodice Collages, 6 x Hair Collages, Flower Hat, 31 x Head Ties, 19 x Shoe Styles, 14 x Solid Tops, 4 x Boho Dresses, 3 x Pleated Shirts, 4 x Glasses, 17 x Velvet Bows, 4 x Baseball Caps, Backpack, Camera, Binoculars, 6 x Large Hair Collages, Flower Hat, 4 x Large Bodice Collages. TOTAL SONNET 42 WILLOWBY & CLOSET: 222 Ea. This set of cut files were hand drawn for the BYOC April 2019 & the March 2019 Storyteller. Included are 6 Cut files PSD, AI, DXF and SVG.